The Blackwell Guide to the Philosophy of Religion features fourteen new essays written by some of the most prominent philosophers working in the field. Contributors include Linda Zabzeski, Hugh McCann, Brian Leftow, Gareth B. Matthews, William L. Rowe, Elliott Sober, Derk Pereboom, Alfred J. Freddoso, William P. Alston, William J. Wainwright, Peter van Inwagen, Philip Kitcher and Philip Quinn. Features fourteen newly commissioned essays. Provides a comprehensive treatment of the major problems in the philosophy of religion. Surveys the field and presents distinctive arguments. William E. Mann is Marsh Professor of Intellectual and Moral Philosophy at the University of Vermont. He has written extensively on topics in the philosophy of religion and in medieval philosophy. Part I: The Concept of God. 1. Omniscience, Time, and Freedom (Linda Zagzebski). 2. Divine Power and Action (Hugh McCan). 3. Eternity and Immutability (Brian Leftow). Part II: The Existence of God. 4. The Ontological Argument (Gareth B. Matthews). 5. Cosmological Arguments (William L. Rowe). 6. The Design Argument (Elliott Sober). 7. The Problem of Evil (Derk Pereboom). 8. Christian Faith as a Way of Life (Alfred J. Freddoso). 9. Mysticism and Perceptual Awareness of God (William P. Alston). 10. Competing Religious Claims (William J. Wainwright). Part IV: Religion and Life. 11. Human Destiny (Peter van Inwagen). 12. The Many-Sided Conflict Between Religion and Science (Philip Kitcher). 13. Theism and the Foundations of Ethics (William E. Mann). 14. Religion and Politics (Philip L. Quinn). "This is an excellent collection. 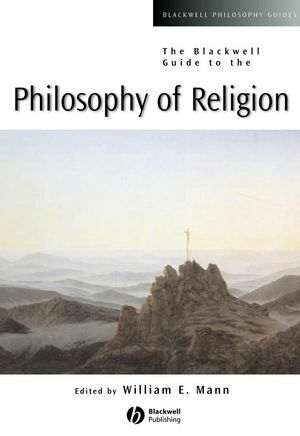 It contains sophisticated but accessible essays by top-flight philosophers on the central topics of philosophy of religion. Highly recommended!" "This is a superb, comprehensive, indispensable guide by outstanding philosophers of religion today. Each of the contributions is accessible, lucid, and rigorous. This collection puts the reader in touch with cutting-edge work in the field." "If you thought a guide was someone who leads you down safe and well-trodden paths, then this guide will make you change your view. These are state-of-the-art discussions of the central issues in the tremendously lively field of contemporary philosophy of religion. Not only do they lucidly capture where the discussions are at, they carry them forward in imaginative and significant ways." "The Guide contains 14 new essays by established philosophers...all are topics of critical interest wherever the philosophy of religion is taught and studied, while the essays will also be of interest to professionals (philosophers, theologians, lecturers) as exemplars of the application of philosophical method"
"The Guide is an attractive and topical work that will sharpen up the reasoning skills of anyone reading it, particularly any theologian grown complacent on passive belief."